The word "Animal Magnetism" derives from that great doctor Franz Anton Mesmer (May 23, 1734 - March 5, 1815) who was the first western person that theorized a naturally occuring transference of energy that occurs between all animated and inanimate objects. This energy tranference can be used for the purpose of healing. Mesmer understood health as the free flow of the processes of life energies through thousands of channels in our bodies. It is obstacles to this smooth flow of energies then that causes illness. Overcoming these obstacles and restoring the free flow of energy produced a healing crisis that restores health. When natural processes failed to do this spontaneously, contact with a conductor of animal magnetism was a necessary and sufficient remedy. Thus, Mesmer aimed to aid or provoke the efforts of natural processes in order to produce a healing effect in an ill person. Much controversy surrounded his work at the time and a Commission of the Royal Academy of Sciences, Paris, France discredited him in 1784. Mesmer was not present at the time of the inquiry. He died in obscurity. Today with a better understanding of the physics of the material world and the biophysics of the human body, a clearer picture of his groundbreaking discoveries is at hand. in 1873. Mesmer had been introduced to the use of magnets for healing by Father Maximilian Hell (15 May, 1720 - 14 April, 1792). Mesmer abandoned the use of magnets when he discovered that he could produce the same results with passes of his hands. He thought that there was some "fluid" that emanated from his hands that mimicked the "fluid" that emanated from magnets. Thus, he coined the term "animal magnetism". 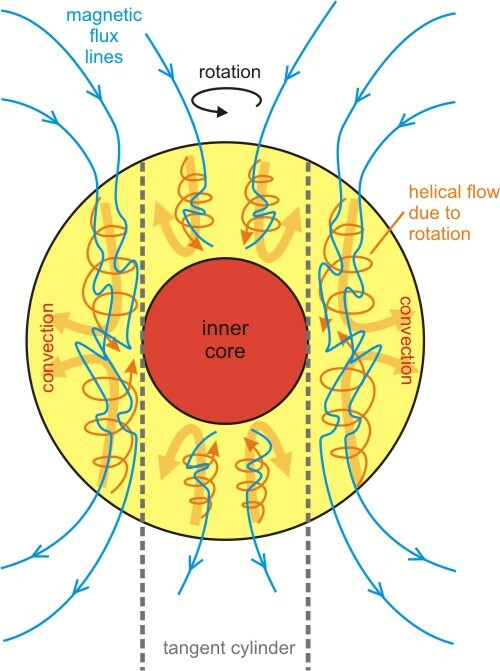 Today the theory of electromagnetism gives to us an understanding of the electric, magnetic and field components of the electromagnetic spectrum and the interaction of electromagnetic wavicles with matter ( http://www.journalinformationalmedicine.org/cr1.htm ). It is now understood that the human body has a field (human body-field) that is generated by the dynamic processes within the body as a whole. Please read this article ( http://www.journalinformationalmedicine.org/hbf.htm ) for details. A projection of the human body-field (HBF) is that which induces an energy transference from the well, stable person into the body-field of the ill, unstable person to affect a return to harmony and wellbeing in the ill person. is the result of the rotation of molten heavy metals in the core of the Earth. The accretion of matter into the bolus that became the Earth resides within that dynamic magnetic field that permeates into space and forms the magnetosphere. Thus all spin relationships of Earthly matter are influenced by this magnetosphere. As the human body is made up of matter, it too is influenced by the magnetosphere. There is considerable local randomness in the processes involved in volcanism, weather, ocean currents, and plate tectonics. However, there is a larger pattern to the dynamic processes at work shaping the Earth as a result of the dynamic molten core and the spin of the Earth. All life originated and evolved within the dynamic magnetosphere and is influenced by local environmental matter field parameters. Just as the energy flows within the Earth have a pattern, the energy flows within the human body also have a pattern. The founders of what is now known as Traditional Chinese Medicine first espoused this pattern of energy flow within the body. In ancient China, the meditative practice that described the flow of energy within the body was formalized into what is now known as Qi Gong ( http://en.wikipedia.org/wiki/Qigong) ). Qi Gong is a fundamental aspect of the medical practice that is now known as acupuncture. The process of discovery, formalization and incorporation of Qi Gong practice into conceptualized medical theory occurred over many centuries. Central to the formalization of medical theory into the basis for acupuncture is the free flow of life energies within the human body. The blockage of this free flow of energy is the stated cause of disease. Restoration of free flow is the stated purpose of clinical acupuncture. Acupuncture is the clinical usage of animal magnetism for healing ( http://www.journalinformationalmedicine.org/aim.htm ). The practitioner uses needles to insert into specific locations on the surface of the body, with intent, their own field emanations to release blockages to energy flow within the body-field of the patient. This is the same as the stated purpose for the use of animal magnetism by Dr. Mesmer, the restoration of the free flow of energies within the patient. Obviously, the magnetic component of the human body-field is not the same as that of iron and other magnetic matter. The human body-field does react to the vagaries of the local environmental parameters of geomagnetism ( http://www.journalinformationalmedicine.org/imf.htm ). The use of animal magnetism for healing may be equated to the flow of bio-scalar energies from the human body-field of one individual into that of another individual in order to remove energetic blockages and restore the harmony within the HBF of the patient.